. 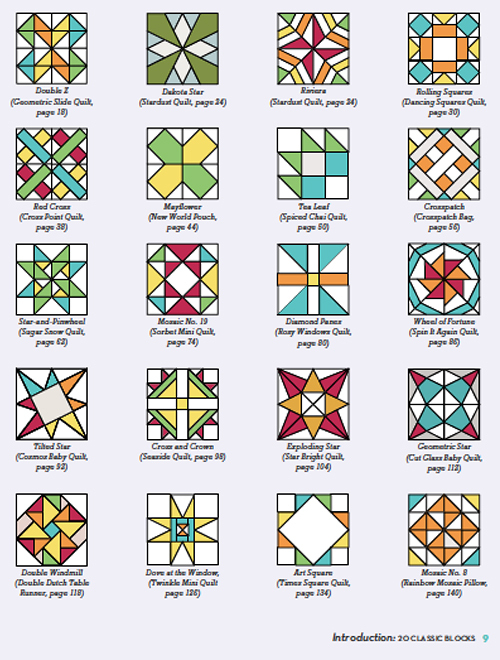 If you are a regular visitor, you probably already know that our book is based on 20 classic quilt blocks. Each block is used not only in 3 different samplers, but in its own individual project as well. This week, we've asked 20 awesome bloggers to share a block they created out of the book. In the last month, after they sewed they blocks, they mailed them back to us to combine into 3 special charity quilts. Katie, Lee and I will be sharing those on Friday. I hope you will follow along and check out all the talented individuals who created blocks! I hope you end the week feeling inspired!